Why Hong Kong Seafood Restaurants? Which Hong Kong seafood restaurants should you go to enjoy the delicious meals? Literally, everywhere in the city. It is very common to see a BIG fish tank in the middle of a Hong Kong Chinese restaurant. But....different places serve differently with different atmosphere and setup. Hong Kong people love seafood. This culture is heavily influenced by the history and the geography of this city. Why? 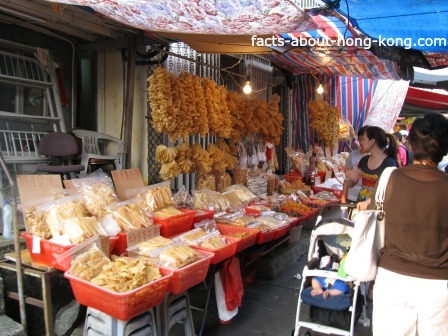 Hong Kong was originally a fishing port. People had been living on seafood for many, many years. 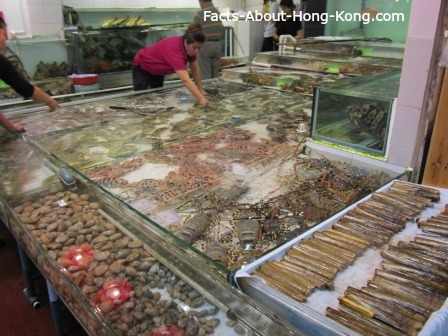 You can easily see the dried seafood anywhere in Hong Kong, such as the wet market. fins, sea cucumbers, dried oysters, dried scallops and so forth. This kind of ingredients can easily be spotted anywhere in Hong Kong. But you can find a lot. I mean a lot....in the Western District. 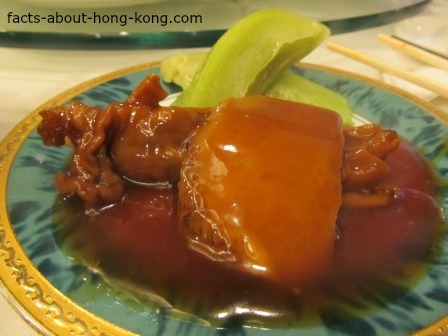 A typical abalone dish served in Hong Kong seafood restaurant using the dried abalone. Seafood dishes use any dried ingredients mentioned earlier take at least a day for preparation and the slow cooking process. Some 5-star restaurants require at least a week advanced order and reservation. A side note, the slow cooking process talked above is not like using any modern slow cooker to prepare that dish. These top notch and scrumptious Hong Kong seafood dishes use the traditional pots and pans to prepare which is also the reason why they charge so much. Here are some great restaurants that I would recommend to enjoy the seafood. Hong Kong Jumbo Kingdom, the floating restaurant, serves Hong Kong seafood. But it is also one of the most famous attractions. 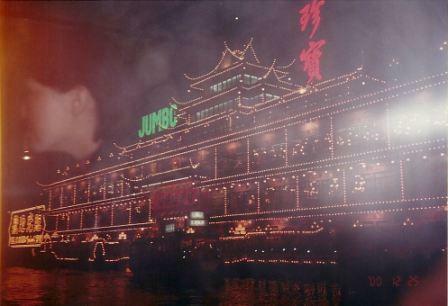 One of the most famous Hong Kong seafood restaurants that you must check it out is the Jumbo Kingdom in Aberdeen. It is a floating restaurant and one of the tourist musts on the list of Hong Kong attractions. They serve dishes using dried and fresh seafood ingredients. The atmosphere and setting is one of a kind. 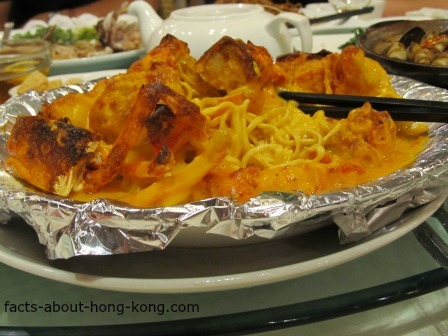 Baked lobster with cheese sauce on bed of noodles or spaghetti is a very typical Hong Kong seafood dish. the financial crisis, it significantly shrank to 2 branches in relatively remote areas. One of its branches is located nearby Kowloon City, a famous Hong Kong food district. take some time to expand to the former scale. When it comes to shark fin soup, you must try the traditional way in the Chiu Chow restaurants. Check out more from here. Tthe owner and executive chef of the Forum Restaurant is very famous in preparing abalone. Just the chef alone earned a lot of awards for his famous dish. I have been to this restaurant when it was at the old location several years ago. tried everything out, it didn't reach my expectation. I believe this happens quite a lot in the real world. Since it is such a world renowned restaurant, it is very easy to spot some Hong Kong celebrities and movie stars while you dine in there. If you want to have a once-in-lifetime experience in a restaurant run by a culinary legend, stop by this place. Advance reservation is required. 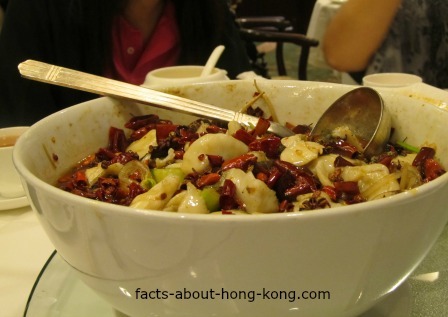 This fresh fish with hot chili was served in a Hong Kong restaurant serving Szechuan cuisine. different seafood restaurants in Hong Kong, I would love to hear from you. Please share.